So you know I like to talk about beauty products right? But sometimes I also like to share my thoughts on food… So how do you think I reacted when I was offered an opportunity to review some EDIBLE. SHOE. CREAM? I was a little bit excited. Although, is it a wonder product like no other? OR is it a product we all are quite familiar with, cleverly packaged to look like something else. WELL. Read on and find out…. (I think I just gave the game away though). 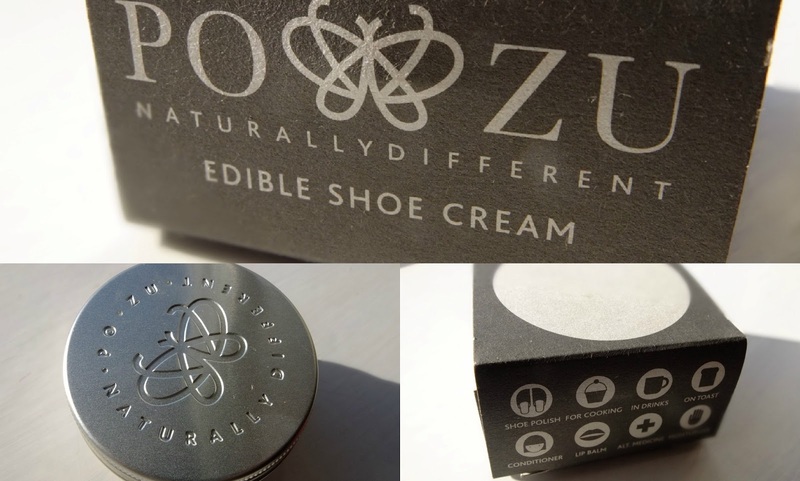 The Po-Zu Edible Shoe Cream does sound like a bizarre concept indeed doesn’t it? Boasting that not only is it a shoe polish but a cooking oil, a hair conditioner, lip balm and even an addition to drinks, this all sounds a little bit craycray. The product itself is a solid balm like substance which once warmed turns in to an oil. 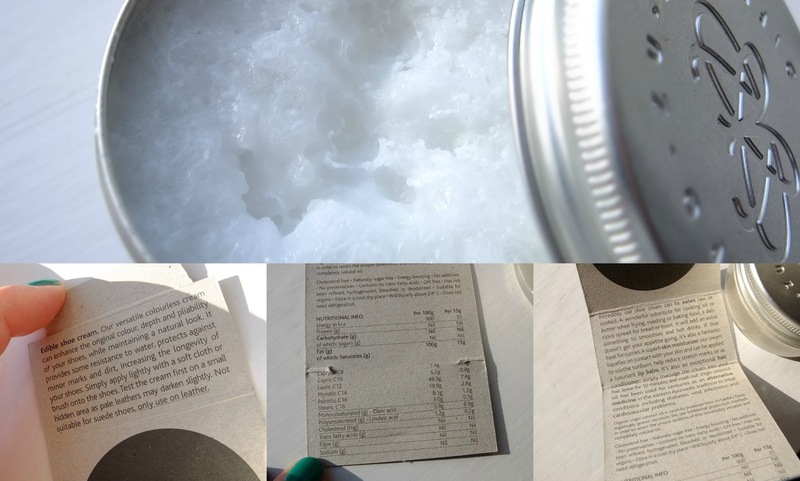 And that’s precisely just what this is… A multi use Coconut Oil. Selling at £7.10 and marketed as such a multiuse product it’s not actually that pricey when compared to Coconut Oils on websites such as Holland and Barrett and this is a very nice quality oil and does do what it says on the tin. As a lip balm it’s wonderful and it’s also added a nice little shine to my Clarks leather loafers, but I suppose it’s a case of doing your research with this one. The naive may think it’s an amazing idea, whereas the informed would find a much more cost effective variant. I for one picked up a massive tub of Coconut Oil from the World Foods Section in Tesco for a mere £1.96 a few weeks ago, but saying that the quality of the Po-Zu Shoe Cream does seem a bit better. *I do apologise that in the second image you can’t see the information on the label which I have photographed, I will update this as soon as possible so you can see! Previous Post Pale Skin Is In.